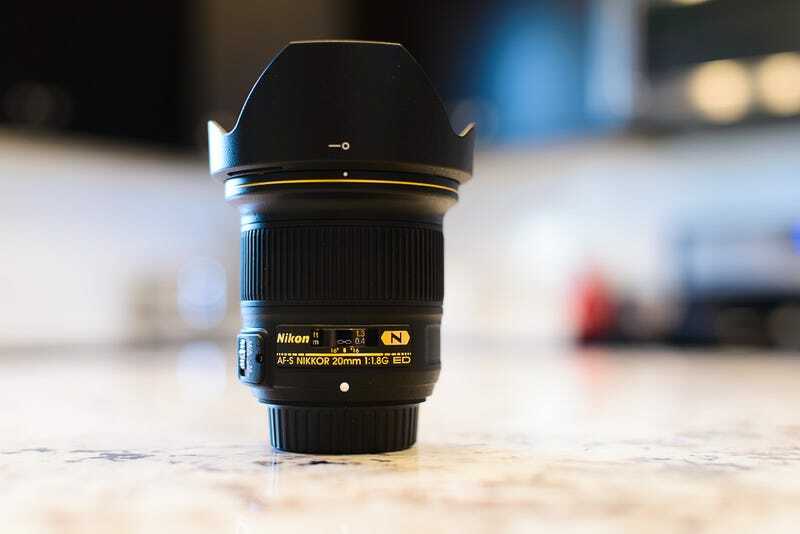 Nikon 20mm f/1.8G. It is incredibly sharp and focuses super close. If you look closely you can see the lens in the reflection in her eye. It's also very flare resistant as the sun was coming in through the window. Bokeh is creamy if you're able to get close enough to get the background out of focus. Focus speed is good enough but locks on almost perfectly. Did I mention it was super sharp wide open? I'm excited to see what else I can do with this lens.